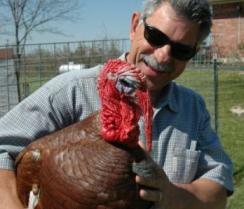 Tony Manasseri and his wife Mary Ann live on a 10 acre organic farm in McKinney, TX. They grow a wide variety of fruits and vegetables and have a large native plant garden. The milk they get from their dairy goats is used to make yogurt, 10-12 different raw milk cheeses and soap. Free range chickens and turkeys supply the eggs and meat they consume. 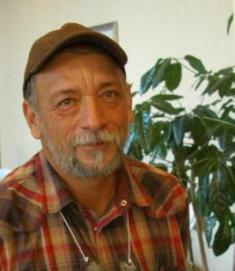 Tony is a master composter and master naturalist and is frequently asked to speak to various groups about organic farming and gardening. He can be reached at tony.manasseri@hughes.net. 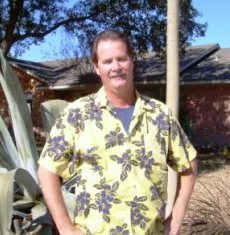 Back in 1988 I moved to Rockwall' Texas and opened Tropical John's Garden Shop and Landscape Company. I began the shop with what I thought I knew at the time, all those nasty, toxic chemicals. I had learned all this at a nursery in Dallas' Texas called Hilger's Nursery. As I was growing up' my Mom and Dad ,who were avid gardeners, would drag me there every Sunday afternoon to shop for more goodies for the yard during the spring. In 1973' I needed an Eagle Scout project so I decided to landscape a small section of a nursing home that my church group visited quite often. Carl Hilger, one of the owners and Tex Diaz, the manager walked me through the process. It was quite the experience. The landscape bug had bitten me hard! In 1975 I went to work there as a loader and stayed until 1983. It was there that a 65 year old man by the name of Wilson Jones taught me how; in his own words; how to dig a hole and push a wheel barrow. Wilson had more common sense than anybody I think I will ever know. In 1983 I left Hilger's and started landscaping on my own' as well as joining Tropical Designs where we did interior maintenance as well. I began wearing loud tropical shirts and the name "Tropical John" was born. Fast forward to 1988 when Tropical John's garden shop opened. I had a flea problem in my yard really-- really bad. I used all the toxics I had at the time-diazinon, dursban, both liquid and dry,but, nothing worked for very long. Then I heard some "nut" on the radio talking about the "the natural way" to garden. He suggested something called D.E. I thought : well, nothing else has worked, I think I will give it a try. It was incredible how well and quick it worked. If this worked so well, I thought that I would check out some more of those all natural and organic products. The rest is history, by 1991 Tropical John's was 100% organic. I have been using those principles ever since. That "NUT" on the radio-- Howard Garrett. Sabino Cortez is one of the nations leading authorities on organic gardening, organic crop production, composting, native grasses, and compost tea. Sabino consults with farmers and ranchers the world over, from the Rio Grande Valley to New Zealand, about organic agricultural production. He is responsible for developing many innovative ideas and products that transcend the line between agricultural production and home gardening. Many of Sabino’s advancements have been utilized in the manufacturing of products for the retail market, by his company Erath Earth based outside of Hico. Sabino grew up in Kerrville where his father was an avid gardener. He also spent time with his Grandfather during the summer on the family farm in Mexico. This exposure sparked his interest in agriculture and soon Sabino was studying Plant and Soil Science at Tarlton State University in Stephenville. During the late 80’s he invented a patented process for making hydro compost.